The following are real estate buyer agent reviews from homebuyers that have used an exclusive buyer agent at Buyers Brokers Only, LLC. 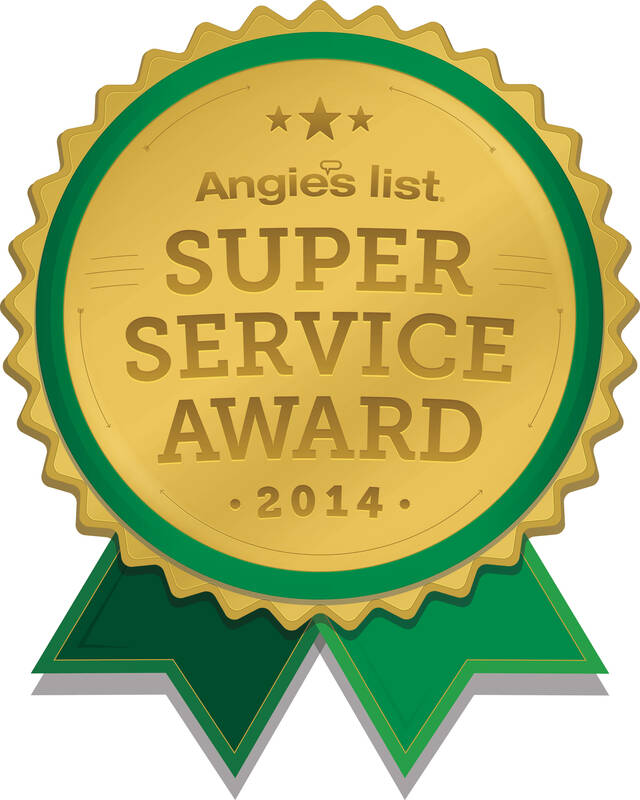 Read more Boston area buyer agent reviews on Yelp and Angie's List. Client: Arabela & Sam T.
"Rich was very responsive to all of our requests and incredibly knowledgeable. We really appreciated all of his advice and guidance. He is the best broker a home buyer could ever wish for. We are so grateful to have had him on our side." "Christine saved the deal. If it wasn't for her diligence & knowledge the deal would have fallen apart ..."
"Anya Kennedy is the BEST! Working with her was a highlight of the entire process. From the minute Anya and I met over coffee, I knew she would find me the right house. We searched from about April - July 2015. Anya set up 5 or 6 houses to see each time we went out. Believe it or not, every day out, we made an offer. During this timeframe, houses were going quickly and for more than asking price. After inspection on one house, Anya strongly encouraged me to get a contractor to look at some of the work. The work was so far from code that I walked away. I'll be grateful forever that Anya was persistent! Anya listens to what you want and finds it for you. She has a way of getting you to think with your head and not your heart. She is tireless when working with Seller's brokers and always available by phone, text and email. She never gives up, even if you feel like you want to. I recommend her to everyone!" "As a first-time buyer, I had many questions about purchasing a home and what to expect about the entire process. We were looking on and for past 2 years. Dave and Rich helped us tremendously without losing interest. Dave was there every step of the way, never pressuring us and always providing the best information possible. Dave always worked around my busy schedule, sometimes arranging showings on short notice. If Dave was not available then Rich was there so that we did not miss the time slot. Dave helped us a lot during negotiations with bank and bank lawyer and we were happy to buy our house. On the day of closing Rich weathered 8"-10" of snow and blizzard conditions and drove on time with his two boys, so that we can close on time so that we do not lose the interest rate lock. It was nice to see Buyers Brokers Only's commitment to buyers. Working with Dave and Rich turned what could have been a stressful experience into one that was enjoyable. The contacts and services (home inspection, handyman, etc.) recommended by them are very valuable, and I am still using them when needed. I have been recommending all my friends to contact Buyers Brokers Only!" "My fiance and I worked with Heather Leavitt-Soni (Real Estate Agent) from Buyers Brokers Only, to purchase our first home. Our experience with Buyers Brokers Only was simply AMAZING! So let's face it, purchasing a home is stressful. Now add on top of that it's your first home buying experience...whoa! Talk about where do i even start, what do i do. Heather from Buyers Brokers Only made our first time home buying experience wonderful. From scheduling times to see homes to the actual closing date, Heather was there for us every step of the way, answering questions and showing support. She also has an incredible email and phone response time. We were never waiting around for a call or email. Heather answered all of our questions quickly and professionally. She also setup realistic expectations and provided every type of document you could think of (from mortgage insurance info, to even moving tips). If you're looking to purchase your next home (or first), give Buyers Brokers Only a call. Highly recommended!" "You read all the positive reviews and think, man...these guys must be paying these reviewers off! But, don't worry, they earn these A ratings, especially Jess Wagner. The man is a rock star, evil genius real estate broker with a heart of gold." "Derek Durbin is a rock star, a true pro, well educated and very personable! Right away I knew I could not deal with the seller's agent, so I did some research and had looked at Redfin and your site. Derek called me the first day I contacted BBO, and was great through the whole process, and I would probably not buy a home again without him or your company. His customer service was an 11 out of 10. I also felt that he was very thorough, and I could pick up the phone or email him and get an answer in less than an hour, and I had many since we were buying a foreclosure. I felt great about having an attorney help me understand the potential issues." Client: Sari & Aaron P.
"Throughout the entire process, Jess was very patient with us as we learned what we liked or didn't like in a house and what the right area was for us. With all of his past experience, Jess always had a keen eye on what things to look out for in a house. More than a few times, we missed some glaring issues that Jess caught and pointed out." Client: Alison E. & Nikhil B. "My husband and I worked with Otto Iglesias at Buyers Brokers Only to buy our first home in East Boston, and we absolutely loved him. Otto guided us through the process as first-time home buyers super patiently. [We] never felt at all pressured to 'settle' for a place we didn't love, and Otto made the experience, which is inherently stressful, actually a lot of fun. Otto was always super quick to respond, really on top of everything, and went way above and beyond for us. He's totally professional. On top of that, he's just a really great guy, funny, and we genuinely enjoyed working with him and getting to know him!" Client: Kristin C. & Patrick L.
"We had a tremendous experience working with Ron Mendes and Susie Moniz at Buyers Brokers Only and would highly recommend them to anyone. They made us feel like we were their only clients because of their level of responsiveness, attention to detail and thoroughness in answering questions. That's certainly not easy to do given how busy they are, but they always went above and beyond to help us in any way they could. We are so happy that we found them and know that without them the process of buying our first home would have been a lot more difficult." "Rich and Catherine were both a pleasure to work with - knowledgeable and well able to guide us through looking for a house. We found their patience and responsiveness made the overall process a lot less stressful than it would otherwise have been and would absolutely recommend them to other prospective house buyers." "I really valued the level of professionalism and reliability that Andrew [McKinney] consistently maintained. Further, I appreciated the timely manner in which he responded to my questions, phone calls and emails. Andrew truly made our condo purchase a pleasant experience, and I will highly recommend him in the future as I found his help invaluable." "[I valued] the ease of communication and availability of our Agent Christine Smith." Client: Joe & Kathy L.
"We are very pleased. If you want something done you should use Buyers Brokers Only. Rich Rosa is an outstanding person to deal with. He gets things done. He knows his job and does it well." "I liked how easy it was to communicate throughout the entire home-buying process." "No pressure approach made the process much easier for me in spite of an agressive moving timeline. [Andrew] made every effort to accomodate my schedule." Client: Chris & Sarah M.
"It's clear that Rich Rosa is great at what he does and that he measures success by the number of people he helps along the way. If you're in the market for a new home, we highly recommend that you meet with Rich...you will not be disappointed." "Rich was a pleasure to work with. I truly enjoyed my experience with Buyers Brokers Only, and I couldn't understand why any potential buyer would, in good conscience, pass up the opportunity to have one of these guys on their side, and, as a buyer, it costs you nothing! Rich gladly met with me on evenings and weekends, and we looked at a bunch of properties. When Rich wasn't able to make it, Dave was there to assist me! Quite simply, these gentlemen set the bar for great service. I got a great deal on my first home, and I won't forget the fun I had meeting Rich to look at properties. If you're in the market for a home in NH or MA, and you're looking to gain a definite advantage in every step of the process, I can't recommend Buyers Brokers Only enough.You guys did a great job throughout the entire process. It was very comforting to know I had someone working to help me, and I could contact you immediately, if I had any questions." Client: Francesca L. & James B. "As first time homebuyers, we expected the process to be stressful, long and complicated, but with Dave's help our experience was none of those things. From start to finish, the process was painless. Dave took the time to answer our many questions with detailed explanations in terms that we could easily understand. As a buyer's broker, Dave was our advocate from the search all the way through to the closing. He gave us useful advice and helped us make the right decisions. We couldn't be happier with our first home, and we have Buyers Brokers Only to thank for making the experience worry-free and enjoyable. " "Rich, As I am slowly converting this condo into a home, I'd like to take a step back and thank you for being my realtor, lawyer, and all-around homebuying guru. I really appreciate you sticking by me through flooding short sales and a disorganized closing attorney. Your professional and friendly demeanor really made my first time homebuying experience a pleasant (and fun) one! One aspect I'm particularly impressed by is how great of a team you and Dave are - never skipping a beat! I feel very fortunate to have found Buyers Brokers Only and wouldn't hesitate to recommend BBO to anyone. You really went above and beyond. " "Rich, I can't thank you enough for all the work and guidance you provided during my search and purchase of my new home. Your expertise in the home-buying process coupled with you being an attorney proved to be an invaluable combination, which gave me a comfortable feeling that you were working for me, and only me, as a buyer. I admit I was skeptical at first when you said you would be my buyer broker and attorney at no cost to me, but it was true. Your price was only the commission split on the sale, which was paid by the seller, not me. I will surely recommend you to family and friends. My advice to anyone buying a home is to forget [other] real estate agents, use the buyer brokers/attorneys at Buyers Brokers Only, LLC. I hope we can do business again in the future." Client: Susan H. & Brian C.
"Brian and I really enjoyed working with you both! Your knowledge of all things real estate was great, but more importantly we felt you had our best interests at heart." "Rich made my new home purchase experience easy and worry free. He has given me invaluable advice during the process and has even helped me after the house closing. Thanks Rich!" Client: David & Karen M.
Client: Jm S. & Cinda S.
"Dear Rich, We want to thank you for all of your help in purchasing the condo. It really was a pleasure working with you! Thank you again for everything!" "The service Buyers Brokers Only, LLC provided was truly invaluable to us in finding our first home. We couldn't be happier! And I cannot stress enough how much we appreciate the time you took to answer our countless questions and [his] continuous fight for us. It is so rare to find a company who cares about their clients, and who will go above and beyond when they don't have to. This service cost us nothing, and yet our experience was priceless!!! I will recommend Buyers Brokers Only, LLC to all of my friends, family, and coworkers wholeheartedly!!" Client: Erin T. & Edward S.
"David, thank you so much for helping us buy our very first home. As first-time buyers, we were nervous, and glad to have a buyer's broker on our side. You guided us through each step of the process and took care of all the details with knowledge and care. We are so happy in our new home. It is the perfect place for us!" Client: Tracy C. & Michael C.
"We appreciate all you have done for us and will keep you in mind for anything we may need or that of others we know. Once again thank you so much for making our goal to own a house together become a reality." "Andrew was professional, yet friendly and approachable. He was available when I needed his assistance, but gave me the space and time I wanted to conduct my own searches and assessments of various properties. Andrew was also invaluable in the negotiation process, which culminated in a good deal. Moreover, his legal guidance made me feel more comfortable about navigating the home-buying process than I would have with a real-estate broker with no legal expertise." Client: Heather & Sacha P.
" It was a pleasure to work with Femion. We really valued his enthusiasm, humor, and professionalism, as he worked with us to help us find a wonderful house. He was always easy to reach, so it was never a problem to schedule a showing or to receive an answer to our (many!) questions. He was a great advocate on our behalf, negotiating the price of the house down further than we would have dared to try ourselves, while keeping relations with the seller cordial. We will be recommending him to our friends. Thanks for everything!" "I really appreciated how you both took the time to explain to me everything I should do and expect to have done to get the sale of my home processed as fast as possible. We love it! You were there for me all the time, even after normal business hours. I want to thank you both for all your help; we love the house. I'm so glad I called you." "I thought that buying a home was going to be an impossible and stressful task, but I was pleasantly surprised that it ended up being a very easy and stress-free process. Buyers Brokers Only is an excellent company that I highly recommend. Not only was the buying process quick and smooth, I saved quite a bit of money. Dave was very friendly and helpful every step of the way, even after I purchased the home. He answered all my questions, and even gave me tips for the future. If you are looking to buy a home you should definately give them a try, you will not be disappointed." "I think you were really objective in your advice. I always felt that you were there for me when I needed advice. If it wasn't for you guys, I don't know that I would have been so comfortable making this decision." "My husband and I worked with Christine Smith for the purchase of our first home. We can not summarize how much we appreciate all the hard work that Christine has done for us. She is very knowledgeable in this area, and she is straight forward and I was able to feel a sense of trust from the beginning. Christine is professional, kind and patient, and she gave us sound advice. We had a mortgage broker/company that unfortunately was not the greatest, yet she was our advocate every step of the way to ensure that everything was done correctly and in a timely manner. She always had our best interests. Christine is very accessible via phone, email or text. It was also a bonus that Christine happend to be a real estate lawyer which made things easier and quicker when it came down to doing all the legal documents. My husband and I recommend her to anyone that is in the process of home buying. As happy as I am to have purchased our first home, I am sad that our journey with Christine is over. If we are ever in the market to buy another house she will be the first person we call." Client: Reve D. & Mark M.
"After dealing with Buyers Brokers and knowing our agent [Rich Rosa] was working for us and only us, I wonder why anyone would consider going without an exclusive buyer's agent." "Thank you so much for all your hard work & dedication in helping me to find the perfect condo. You will never know how much it means to me!! Thank you for being so patient with my 50 million questions about everything!! You have been such a blessing through this whole process, and I could never have done it without your constant guidance & help!! You always made me feel so comfortable. You went above & beyond and your kindness will never be forgotten!!" "As a first-time homebuyer, I had a lot of questions and concerns. Rich Rosa always answered my questions and addressed my concerns promptly. I would absolutely look to him for my next purchase and have recommended him to my family and friends." "It was an absolute pleasure to work with Dave and Buyers Brokers Only, LLC. There is absolutely no reason to use anyone else - Dave gave us insightful advice and timely responses to all of our requests. As first-time-buyers, it was reassuring to have Dave there at every step of the way, from initial inquiry to after the close. And to top it all off, we didn't pay a dime, since his fees came from the selling agent's commission. It's a win-win for all and we couldn't have been happier. Thanks!" Client: Scott P. & Amanda P.
"Rich, Amanda and I just wanted to thank you again for all your help with our home search. It is hard to imagine that we could have asked for a better broker or attorney to help us navigate the road to the purchase of our first home. We will not hesitate to recommend you and Buyers Brokers Only, LLC to anyone we know who is considering buying a home." Client: Elizabeth F. & William M.
"Bill and I really appreciate you (Rich) and Dave taking time to answer all of our questions. As a first-time buyer, the process can be a bit daunting. You definitely made the process as seemless and painless as possible. We also really appreciate the referrals for our loan and home inspection. They were outstanding. And did I mention how great your broker/lawyer combo service is? Thanks again for all your help. We love our new home. We look forward to working with you again for our next home purchase!" Client: Cara M. & Chris M.
"David Kres was a monumental help in helping us find our first house. He was always accessible to answer our questions or provide us with assistance in this process. David proved to be an extremely knowledgeable REALTOR®, and we always had full confidence in his abilities to help us find a house that we would feel comfortable in. I have already recommended his services to several friends and acquaintances, and plan to continue doing so in the future." Client: Jennifer & Phil L.
"Rich Rosa and David Kres provided consistent and valuable representation. It was an entire year of searching before we finally found what we wanted, and Rich stuck with and maintained faith in us every step of the way. Also, the combination of buyer broker and attorney gave us an added level of security which made it easier to sleep at night." Client: Satyen M. & Rajee A. "When we started looking for a condo, we realized early on the benefits of having a buyers broker represent our interests and clear up the home-buying jargon. We found links to Rich's name on several websites and found favorable reviews. After a brief meeting with Rich, we liked what Rich had to offer in his services and decided to work with Rich. Rich did a fantastic job from start to end. We are thoroughly satisfied with the service provided by Rich Rosa and would recommend his services to any new or existing home buyer." "Buying a house is a big, life-altering decision. As a first-time buyer, there were a lot of things I never took into consideration. Dave Kres was very informative and always answered any and all of my numerous questions. Dave was very patient with me and my waves of uncertainty throughout the buying process. When it came down to negotiating with the seller, he went in fighting. Dave was able to get me the home I wanted within the price I wanted. For that, I can not thank him enough." 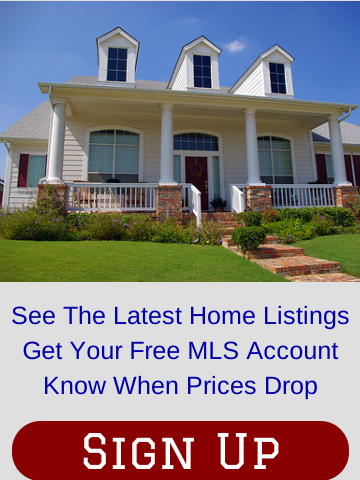 "Buyers Brokers Only, LLC made my first home purchase an easy transaction. Dave was very informative and responsive. He was able to guide me through each step of the process including picking out potential fits, viewing property listings, the offer process and closing. I found his legal expertise to be a real asset in interpreting the legal contracts and documents. I would rate their service and professionalism an A+ and would recommend them to anybody looking to purchase a property." 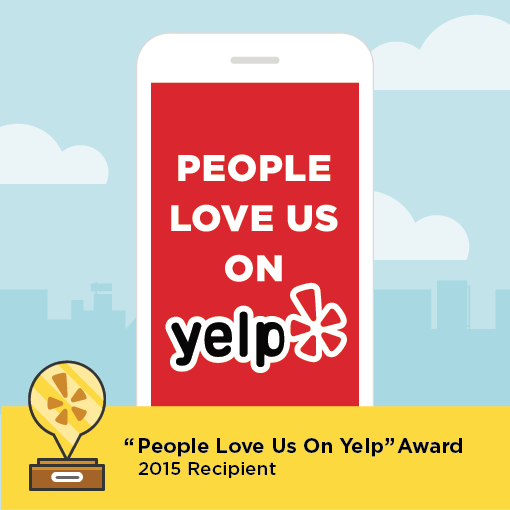 "[What did you value most about our service? :] Having representation that was strictly for me, the buyer. Derek [Durbin] was my buyer broker, he was amazing and someone I would seek out in the future and refer to my friends and colleagues." "Buyers Brokers Only, LLC made my home-buying process painless from start to finish. They worked hard to accommodate my schedule by being available after hours and on weekends, and thoroughly answered all of my questions in a timely manner. I got a fantastic deal on my first home, I was well-informed throughout the entire process, and I didn't have to hire a separate attorney because they do it all! Rich and David were both pleasures to work with, and you can bet I'll be recommending my friends in the future." Client: Derek A. & Aimee D.
"As first time homebuyers in a market flooded with bank-owned foreclosures, we stumbled across quite a few of interest. In fact, we ultimately bought a bank-owned foreclosure. Throughout the process, we worked with David Kres. Besides the fact that he is nice, patient and knowledgeable, he is also a lawyer. His real estate law knowledge has saved us on multiple occasions as we entered into negotiations with banks. We likely would have entered into deals that would have taken advantage of us, but Dave was there to guide us. Having a lawyer with you during this process is priceless - Now that we have gone through this process with a lawyer, we cannot ever imagine going through it without one. We highly recommend Buyers Brokers Only, LLC. They have a unique and practical business model, that adds TREMENDOUS value to the buyer. Thank you again, Dave. We could not have done this without you!" "This was my first time buying, so every thing was new to me, and I appriecated the time you took to go over everything with me. The whole process was very pleasent, and I would recomend my friends and family to you." Client: Laura & Todd B. "We had heard from many people that it was impossible to get in touch with their buyer broker when necessary. We never experienced that with Rich. He was always very responsive to our inquiries. Client: Cindy F. & Bobby K.
"Any one I know that even mentions buying a home I right away give your company’s name. You guys are filled with knowledge on this stuff, and your pleasant, very-down-to-earth attitude … [is] the key for first-time home buyers who may or may not know their possibilities or routes to take when purchasing a home." "I just have to say Thank You. You made the entire process as easy and painless as I wanted it to be. You answered all questions and had valuable insight. When we start looking for a rental property we will be sure to call on you again." Client: Mark M. & Vikki G.
"We were very happy with your services, and we are still happy with the outcome. I would recommend your services to others for the following reasons:  you were very accessible and responsive; the fact that there were two of you available to help us definitely helped in this regard  you were almost always able to set up showings when we wanted them and often at short notice  you were flexible and accommodating with us when we had difficulty getting kids to babysitters on time, etc. you understood our unique circumstances and requirements, and patiently showed us one property after another while we looked for a place to fit multiple purposes  you were knowledgeable about laws, procedures for doing things, etc. you both have good senses of humor, which helped make an arduous process more fun  your thoughts and ideas in discussions about negotiating strategies were very helpful and beneficial  your business model is great; it was the reason I chose you over other buyers' brokers I talked to, and it clearly benefited us. Many others require a minimum percentage of 2.5% or even 3%, and so their clients (potentially) pay more for their house because they used a buyers broker, while they all claim there is only upside to using a buyer's broker. Not only did you not require us to make up this difference, but you also covered our lawyer's fees. I estimate we saved about $2000 over what we could have achieved with another buyer's broker. That is a very compelling argument for people to use you instead of other buyer's brokers!" Client: Ken L. & Jenny C.
"Jenny and I found both Rich and Dave to be very comfortable to talk to. We were almost always able to schedule showings exactly when we wanted to, and received prompt attention when making offers." Client: Vicki & Joseph Z. "One stop shopping! You helped us beginning to end, and we didn't have to shop around for agents or lawyers!" Client: Amity & Adam K. .
"Femion was a wonderful person to work with. We had a year long search and Femion was eager to get us into the right property. We negotiated on four seperate homes and Femion was attentive and strategic each time. His negotiation and legal advice was above and beyond what you can get from someone who is only a realtor. He made sure our interests were protected in each of the contracts we signed. He also was honest and not afraid to share his opinions, which was very helpful through this stressful process. We are now proud home owners and we could never have gotten here without Femion's help." Client: Allsion & Keith P.
"Rich was recommended to us by friends when we were starting to look for a house (and had no clue how to do so). He tirelessly, for 8+ months, drove hundreds of miles to look at every kind of house imaginable with us. He made house and town recommendations based upon our criteria and helped us make good decisions about those we did look at. He was invaluable when it came time to enter negotiations, and he always did a great job at communicating on our behalf to the sellers. Plus, his expertise kept us from becoming involved in some potentially very messy deals. With his help, we found and purchased our first home. Rich made the home buying process (and our lives) so much easier than had we chosen to undertake it ourselves!" Client: Dhyan S. & Pramilla B. "It was a pleasure having Dave Kres as our buyers broker. He made every effort to inform us of the home buying process as this was our first home, as well showing us houses within our specific requirements. The added benefit of working with Buyers Brokers Only, is that in addition to being a real estate agent, they are attorneys. After finding the home we wanted, Dave was able to walk us through the legal aspects of closing on a home. I would recommend Buyers Brokers Only for anyone in search of a house." Client: Nikki & David S.
"Working with David Kres made our search for a home an enjoyable experience. We were first-time home buyers and did not know what to expect. Dave went out of his way to make sure we understood all the details of the properties we were looking at. He also was very understanding of our short time frame in which to find a house and helped us avoid a lot of anxiety. It was very nice to have his legal expertise as well. We would highly recommend him and will return to him if and when we decide to move." Client: Alexis V. & Michelle T.
"Rich, as we continue to settle down in our new home, we cannot stop marveling at our good fortune. With your patient assistance, we found a lovely home. You were wonderful to work with, and we will always recommend you to anyone we know who is looking to buy a house. Thank you also to David for those times he stepped in and assisted us." Client: Colleen & Neal O. "Dave Kres of Buyers Brokers Only, LLC made our 1st home-buying experience most memorable and stress-free. Having purchased a condo numerous years ago, we had an idea what to expect come closing but the craziness that took place then was non existent this time around thanks to Dave. Not only did he make himself available to us for questions or concerns, but most importantly, he made us comfortable during the closing, which as you may know, can be quite hectic. He always made us laugh and he thoroughly explained things in simple, logical terms that helped us better understand what was going on. He always returned our phone calls in a timely fashion and was quick to give us assistance when needed. He found us homes that we liked and 1 home that we loved, and then he helped us buy that home. We couldn't be happier with both the house and with Dave's assistance and guidance from beginning to end. For us not to refer Dave and Buyers Brokers Only, LLC would be a big mistake on our behalf. The services that he and his partner's company offer are truly REMARKABLE. Anyone even slightly interested in buying a property needs to work with Buyers Brokers Only, and they can thank us later for the much needed advice. Thanks again Dave, you're the best!!!!" Client: Ryan D. & Melissa K.
"As first-time home buyers, my wife and I enjoyed a strong sense of assurance working with Buyers Brokers Only. The fact that Dave and Rich only deal on one side of real estate transactions ensures they represent only their clients' interests. As an attorney, I can attest that their legal knowledge and skills are excellent. Buyers Brokers Only takes its clients' interest to heart." "I appreciate all your help and patience. Thanks again for helping me achieve my long-time dream of home ownership. It is a great feeling to finally be a homeowner, and you helped make it possible. Buyers Brokers Only rocks! It’s been my pleasure working with you." "I'm very pleased that I contacted Buyers Brokers Only, LLC to assist me in the purchase of my condo. Dave and Rich were very responsive and knowledgeable when I had questions to pose. It is evident that Dave and Rich are very flexible regarding scheduling to see properties and also with phone calls. I enjoyed working with them and will look to them again in the future." Client: Jim and Lisa H.
"We had a great experience working with Dave. He was there for us every step of the way searching for and purchasing our first home. When we did eventually find the property we wanted, Dave helped us tremendously when we were working with a difficult seller and her even more difficult attorney. It was great to have both Dave and Rich on our side, always with our best interest as their top priority from the beginning of our search all the way through the closing and afterwards. We would highly recommend Buyers Brokers Only to anyone looking to purchase a home. Thank you, Dave and Rich!" Client: Omar & Beenish A. "We wanted to personally email and thank you for all the help and assistance you provided during our home buying experience. You both were monumental in helping us find our first home. We are happy to have chosen you as our Lawyers and Brokers in our real estate transaction. Your sincere and honest advice helped us make the right decisions in our home buying process. Thanks for everything." Client: Carol & Ken M.
"My husband Ken and I got exceptional service from David Kres during our long and difficult move from Florida to Massachusetts last year. He always made himself available for us (sometimes last minute) and returned our calls and e-mails promptly. We relied on him completely and he came through for us 100%. I would highly recommend his services to anyone looking to buy a home, especially during these difficult economic times." "Dave, you made me feel like I was your only client!" Client: Ryan & Laura C.
"You guys did a great job balancing your duties as real estate agents and lawyers. It was a huge help to have you doing both. It made it easier on us." Client: Jon W. & Oni B. "You were always prompt, thorough, professional, and patient. You helped us handle a million uncertainties that came along with buying our first home. We would (and will!) recommend you to anyone and everyone who's looking to buy a home. Thanks for everything!!" Client: Kristina S. & Scott S.
"As first-time home buyers we walked into Rich's and Dave’s office not knowing what to expect from them or the whole home-buying process. Rich quickly eased our concerns and worked with us to educate us about the real estate market and in the end find a place that we could call home. If it weren’t for Rich and Dave we would have been completely overwhelmed and frustrated with house searching. They, however, took the time to show us and tell us about each potential home we wanted to see (and there were a lot we saw.) Along with informing us about different property types and the positives and negatives about each place they were very patient and kept the home searching expedition fun (and at times comical.) We have already recommended Buyer Brokers Only to our friends and family members who are beginning their journey into home ownership. We have been nothing but pleased by our interactions with their business." Client: Emmanuel & Thyra L.
"Working with Buyers Brokers Only LLC was indeed a blessing in helping my wife and I purchase our dream home. The professionalism and patience that Richard Rosa demonstrated during the purchase of our home was above and beyond anything that we could have ever expected. Our home buying experience spanned a whole year with bumps and ditches that were beyond our control and only patience and great communication could have guided us through this experience. Throughout our home buying experience, Richard and David took the time to thoroughly explain every step in the process which made it that much easier. Buyers Brokers Only LLC is by far what I would call a no brainer when it comes to purchaseing a home. Thank you." Client: Eric & Sarah L.
"As first time buyers, we had many questions about purchasing a home and what to expect about the entire process. Dave was there every step of the way, never pressuring us and always providing the best information possible. Early in the process, he helped us to determine what we were looking for in a house, and we found that to be very helpful later when making final decisions. Dave always worked around our busy schedules, sometimes arranging showings on short notice. Working with Buyers Brokers Only turned what could have been a stressful experience into one that was enjoyable. Dave made the entire transaction as smooth as possible and we have already told friends that working with Buyers Brokers Only is the way to go!" Client: Michael & Diane W.
"My husband and I just celebrated our first year in our home. We are so very thankful to David and Rich for everything they did to help us purchase our home. Honestly, we couldn't have done it without David and Rich. David was so patient with us, explaining everything so that we could understand what was happening. That was a major feat in itself considering I have a brain injury with memory lapses. David helped us buy a foreclosure from a bank that wasn't always on the same page." Client: Raymond & Julia H.
"I can't say enough about David and Rich. I recommend David and Rich to anyone that wants to buy a house. Not only are they great at what they do, they are also very nice people." Client: Jim & Robin W.
"It was an overall wonderful experience. Your timeliness in answering our questions throughout the process showed you cared about helping us get our first home. I would recommend all my friends and family to [Buyers Brokers Only, LLC]. Thank you for all the work you did to insure that we were comfortable as first-time home buyers. You really did a tremendous job!" "Rich has been instrumental in my successful search for my first home. With his vast knowledge of the real estate market, he was there with me every step of the way, taking the time to understand what I was looking for in a home, providing sound professional advice and judgment while serving as another set of eyes. He made my house search enjoyable as well as educational. Even after the sale, he is eager to assist me as I navigate my way through home ownership. As my real estate agent and real estate attorney, Rich is top notch." "Femion was friendly, patient, honest, reliable, and very professional in all our dealings. I was confident of his abilities both as a lawyer and a real estate broker. He was a great help throughout the process." Client: Matt & Liz J. "We heard about Buyers Brokers Only from our friends, and we couldn't be happier with our decision to work with them. Dave was eager to help but not pushy, and not afraid to tell it like it is. He was willing to accommodate our busy schedules for 19 showings, and he was patient answering our questions, even when I didn't understand things right off the bat. I can honestly say that Dave [was] on our side, we bought a house that suits our needs, budget, and our personalities, and it didn't feel overwhelming or stressful (except the moving part!). It's so refreshing to work with someone who truly loves what he does." Client: Stephanie & Heath L.
"Heath and I would like to thank you for all your help, time, patience and expertise. It was a great experience and we love our home! Dogs do too! Please also extend our thanks to Rich. Heath says he will miss your quirky nature!!!" Client: Sterling & Allison C.
"Working with Rich and Dave in connection with purchasing our first home was a wonderful experience and a true pleasure. Rich and Dave are extremely knowledgeable, experienced, and personable, and the guidance that they are able to provide because they are lawyers as well as buyers brokers was simply invaluable to us. Without fail, Rich and Dave provided prompt, detailed answers to all of our questions and always exhibited the highest level of professionalism. We would gladly recommend Rich, Dave, and Buyers Brokers Only, LLC to anyone looking to purchase a home in Massachusetts." "It was a great experience working with you in my search for a home during this past year. The process was complicated because I was out of the area for most of the time and was very dependent on your flexibility in being available whenever I could make it to Haverhill. When I needed to see a property, and couldn't be there in person, you graciously accomodated my daughters who looked over the houses and made recommendations to me. You provided me with good advice, and wise counsel, and I couldn't have done it without your help! Many thanks." "Dave did an excellent job. He was always courteous, professional, and was quick in responding to my emails and phone calls. He is very knowledgeable as a real-estate broker and as a lawyer. During my home search, Dave always took the time to let me know what to expect, and he explained all the aspects of buying a home including, for example, the differences between foreclosures and short sales, negotiations, financing, etc. When I found a house that I liked, Dave did a great job assisting me with the negotiations, preparing the paperwork and, overall, making the process as smooth as possible all the way through and beyond the closing. At all times, he had my best interests in mind. Incredibly, Dave's services did not cost me a penny and in fact, he saved me money since I did not have to pay for a separate lawyer. I would highly recommend Buyers Brokers Only's services to my friends and family. Thank you for your help Dave, and I hope you have many more years of success." Client: Dan & Lori S.
"As first-time home buyers, we were, quite frankly, lost until we starting working with Christine Smith and Buyers Brokers Only, LLC. Even though there are literally thousands of reputable Web sites that are designed to independently guide you through the home-buying and mortgage process, nothing can replace the experience of working directly with a competent, expert, and professional real estate agent. Buying a home, especially for the first time, can be overwhelming. We all know that there are several peaks and valleys along the way. Christine had the innate ability to keep us calm throughout the process and was always there for us. No phone call or email was ever left unanswered. We truly felt that Christine put our interests before all others. Needless to say, we highly recommend Christine Smith and Buyers Brokers Only, LLC!" Client: Tim & Ellen E.
"As first-time home buyers we were very impressed with the way Rich and Dave helped simplify the whole experience. Rich listened to our needs and provided candid feedback on the properties we saw. There was never any pressure to make a quick decision, and we always felt he had our best interests in mind. Ellen, who is an attorney, immediately felt comfortable with Rich and his expertise in handling the numerous legal aspects of the transaction. We felt great through the entire process having honest, competent attorneys like Rich and Dave in our corner!" Client: Ron & Lilia S.
"Buyers Brokers Only LLC for me was the perfect partner to have when buying a house. They really have the buyer's interest at heart. 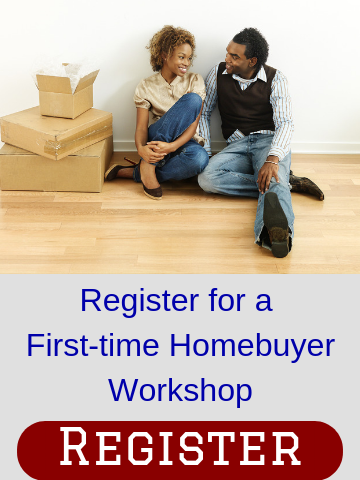 Being a first-time homebuyer, you want somebody to be there for you and assist you especially in legal matters. Dave was there for us. Always there for us! He guided us through the whole process and gave us his professional advice whenever needed. They will do anything and everything to make things work even if it means less profit/commission for them. If we would buy another house, I would want them to be our agents again." Client: Manoj & Deepa N.
"Our experience with Rich and Dave as our buyer’s agents was excellent. We were first time-home buyers and in our opinion Rich did an excellent job of explaining the details during each step during the home buying process. His professionalism did put our jitters at ease. We would definitely use them again as our buyer’s agent or recommend them to our friends." "Femion Mezini, our agent, was simply phenomenal. We would never have ended up in the dream house we have, with the price and terms we got it for, without his expertise and shrewd negotiation abilities. We really couldn't have been happier with his services - personally and professionally, he made the process fun and stress-free." "Attorneys Moniz and Mendes handled the purchase of my first home as my buyer's agents and legal counsel. They were professional but personable, knowledgeable, efficient, and, most importantly, always took the time to be responsive to my emails and telephone calls. I would highly recommend Susie and Ron"
Client: Dave & Stephanie H.
"We started working with Dave on the recommendation of a friend and we're certainly glad that we did. We had a pretty good idea about what we wanted in a house and knew that it might not be easy to find, but Dave was incredibly patient and diligent. He certainly earned his money working with us! We always felt as if Dave had our interests at heart and made sure that we got what we wanted. We shared a few laughs along the way and Dave was always ready with a thorough, informed, and timely answer to our many questions. Having a buyer's agent who is also an attorney was an added bonus and made our closing seamless. Going forward, we wouldn't hesitate to recommend Buyers Brokers Only to our friends." Client: Kristy P. & Matt R..
"It was fantastic how quickly Rich responded to our emails and phone calls. It felt like he was available 24/7. The information and assistance he provided was invaluable. Also, the info on your website was helpful when we were first beginning the home-buying process." Client: Julie & Bill C.
"We received top notch broker and legal service. We were referred to an excellent home inspector. We were treated with honesty and intelligence. We know that I had someone who was always looking out for us and protecting our best interests." Client: Ali & Rebecca A. "The advice and knowledge you provided was especially valuable to us as first-time home buyers and really helped us understand the home-buying process. You were also very responsive to our questions and thorough in research about the areas we were interested in. Thank you so much for all your help throughout this process! It made such a difference to us and made the process go so much more smoothly. I would definitely enthusiastically recommend [Rich] (and Dave) to anyone I know who is buying a home in the area." Client: Jay B. & Judy V.
"Jay and I wanted to thank you for all the hard work you put in helping us find our first house! We really appreciate it and look forward to many years in our new home. Thanks again!" Client: Bill & Ann R.
"We would highly recommend Buyers Brokers LLC to family and friends. Rich was a great help to us as first-time home buyers, explaining any and all questions we asked and even many we didn't think to ask. Of course him being a real estate lawyer was a great benefit and one not to be overlooked. After dealing with Buyers Brokers and knowing our agent was working for us and only us, I wonder why anyone would consider going without an exclusive buyer's agent." Client: Joey D. & Carly B. "Rich, I just wanted to send a quick email to thank you (and Dave) for all your help throughout this process. We really appreciate all your work, and how easy you made it for us. If any of our friends are going to buy, we'll be sending them your way for sure. I tell everyone that buying my house was easier than buying my car because I had an agent who was so knowledgeable and guided me every step of the way." Client: Joe & Jill C.
"We can't thank Rich and Dave enough for their commitment, support, professionalism and devotion to helping us purchase our first home. Your personalized approach made us feel important as clients. Additionally, your knowledge of complex real estate and legal issues, truly distinguished your services. We will continue to recommend you to friends and family." "As a single woman buying her first home I relied heavily upon Dave throughout the home-buying process. I was particularly concerned about finding a place in a safe, but convenient, location. Since I’m not from the area originally I wasn’t familiar with many of the towns I found listings in. Dave has a great wealth of knowledge about this area and he was great about letting me know, based simply on an address, whether a place would be safe and comfortable for me, which was invaluable to my process. Dave was extremely patient and conscientious and he clearly had my interests in mind throughout. I would highly recommend Buyers Brokers Only to anyone, and I hope you will give them the opportunity to provide the excellent customer service they provided me." Client: Mandy & Chris H.
"We recently had the privilege of working with David Kres and Buyer's Brokers Only, LLC. From the first time we spoke, David was interested in finding the best match for our new home. We gave him specific information and found several condominiums that matched our criteria. When looking at homes, David asked the necessary questions, some of which we would not have known to ask without his assistance. Within two days, we were able to find a place that we were interested in buying. David then efficiently organized, analyzed and help complete the paper work to buy our first home at the best negotiable price. David Kres was the most ideal advocate we could have asked for throughout the home-buying experience. We would recommend Buyer's Brokers Only, LLC to anyone interested in becoming a home-owner." Client: Mano & Rachael F.
"We couldn't have found our perfect home of it weren't for Dave's knowledge, patience and professionalism. Dave was an integral part of every part of our process. From narrowing down towns, neighborhoods and finally finding "the house" he was patient and gracious in allowing us to figure out what it was we really wanted. His legal background and real estate experience was unparralled. He advised us along the way on important facts to consider and always has our best interests in mind. Dave went above and beyond on numerous occassions for us. We were out of state buyers, so dave attended our inspection on our behalf and also visited our house while we were away and took pictures for us. Dave was always available for telephone converstions where he answered countless questions and advised us elequently along the way. All is all, Dave is a perfect combination of laid back home finder and expert advisor - his ethics and commitment in representing buyers is incredibly valuable and something you don't see a lot of nowadays." "David Kres with his knowledge of real estate showed me a few houses that were a right fit for me. After finding a house in the last week of April, he worked hard to get the closing on April 30th (the $8,000 tax credit deadline for 2010). I had a few problems with the appraisal and the current mortgage company I was using. He recommended a mortgage company he uses and everything went smooth. David is honest and upfront with everything he says and does. He is very professional with the emails and even the way he speaks to you. With his knowledge as a lawyer he worked out the purchase and sale and all addendums to the purchase and sale quickly and on time. David is very knowledgeable in all real estate sales. In the end, I closed on time and with no problems. He even filed my homestead afterwards for free. I highly recommend David and Buyers Brokers Only, LLC." Client: Anne Marie & Michael S.
"The decision to contact Buyers Brokers Only was the smartest decision we could have made in our home-buying process! Knowing that someone we could trust was on our side gave us such peace of mind. [Rich Rosa's] willingness to answer our many questions, [his] flexibility in scheduling appointments, and [his] professionalism all contributed to making the process as smooth as possible. We will continue to refer our friends and relatives to you!" Client: Sean & Jen D.
"As a first time buyer, the guidance we received from start to finish was spectacular. I could not ask for a better experience. We really enjoy our new home." "As a long-distance buyer, I desperately needed someone in the local area I could trust. Sarah rapidly became that person for me. I trusted her advice and I also trusted her to handle all sorts of details that would have been difficult any other way. She's first rate." "We chose Buyers Brokers Only because we had a bad experience with our first home purchase. We ended up working with Rich Rosa for the purchase of our new home. He was fantastic! He spent time to get to know us, our preferences, our concerns, and what we didn't know. He was knowledgeable, personable, and accessible. When we found the house we wanted to buy, he walked us through the entire process. He was skilled in negotiating and truly advocated for our best interests." " I really enjoyed working with Femion. He is knowledgeable, efficient, detail oriented, resourceful and patient. I especially liked the fact that he is also a lawyer. This was key in my case because I purchased a foreclosed property and was apprehensive at times. I trusted that Femion was looking out for my best interest at all times. I have and will continue to recommend Femion to anyone looking for a realtor." "I have bought multiple properties and used many different agents of varying abilities. Eliza was definitely one of the best and my personal favorite. So friendly and easy to work with. I would highly recommend using her."